During bull and bear markets, there is a group of hedge funds and professional traders which have been consistently outperforming traditional investment strategies for the past 30 odd years. They have shown remarkable uncorrelated performance and in the great bear market of 2008 they had record gains. These traders are highly secretive about their proprietary trading algorithms and often employ top PhDs in their research teams. Yet, it is possible to replicate their trading performance with relatively simplistic models. These traders are trend following cross asset futures managers, also known as CTAs. Many books are written about them but none explain their strategies in such detail as to enable the reader to emulate their success and create their own trend following trading business, until now. Following the Trend explains why most hopefuls fail by focusing on the wrong things, such as buy and sell rules, and teaches the truly important parts of trend following. Trading everything from the Nasdaq index and T-bills to currency crosses, platinum and lean hogs, there are large gains to be made regardless of the state of the economy or stock markets. By analysing year by year trend following performance and attribution the reader will be able to build a deep understanding of what it is like to trade futures in large scale and where the real problems and opportunities lay. 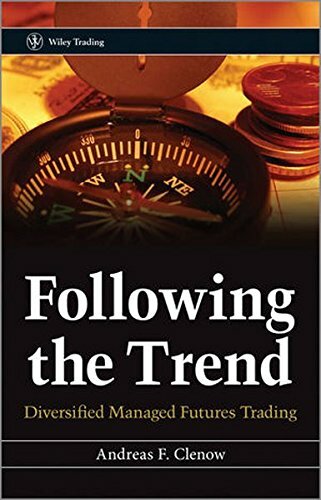 Written by experienced hedge fund manager Andreas Clenow, this book provides a comprehensive insight into the strategies behind the booming trend following futures industry from the perspective of a market participant. The strategies behind the success of this industry are explained in great detail, including complete trading rules and instructions for how to replicate the performance of successful hedge funds. You are in for a potentially highly profitable roller coaster ride with this hard and honest look at the positive as well as the negative sides of trend following.